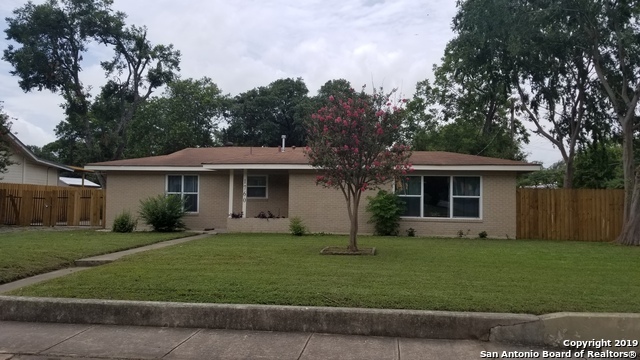 All WOODLAWN TERRACE homes currently listed for sale in San Antonio as of 04/26/2019 are shown below. You can change the search criteria at any time by pressing the 'Change Search' button below. "Located in the ART DECO area off of Frederickburg Rd. Tastefully restored while leaving some original accents. Hardwood floors in the living room and bedrooms, upgraded laminate in the kitchen and dining area. Fresh cabinets, granite counter tops and tile back splash in the kitchen. Window have all been updated. Possible c/c Assist. Owner will add a covered carport at buyers expense. Bring your picky buyers to this home. MOTIVATED!!!" "Beautiful ranch style home in Woodlawn Terrace. Home is an active Airbnb that is maintained and cleaned regularly. The home was renovated in 2016 and boasts original hardwood floors, open kitchen with gray subway tile backsplash, granite countertops, wine rack, and SS appliances. Other features include subway tile walk in showers, tub, barndoors, twenty windows, towel ladders, upgraded sink countertops, Nest thermostat and more! Home also includes three year transferable foundation warranty. Do"
"LET YOUR IMAGINATION RUN WILD WITH THIS BEAUTIFUL TRADITIONAL HOME JUST BLOCKS FROM WOODLAWN LAKE, WALKING TRAILS, SPORTS COURTS AND WOODLAWN POOL. THIS LOVELY HOME OFFERS 3 BEDROOMS, 2 BATHROOMS, A SPACIOUS LIVING ROOM AND AN OVERSIZED BACK YARD AS WELL. 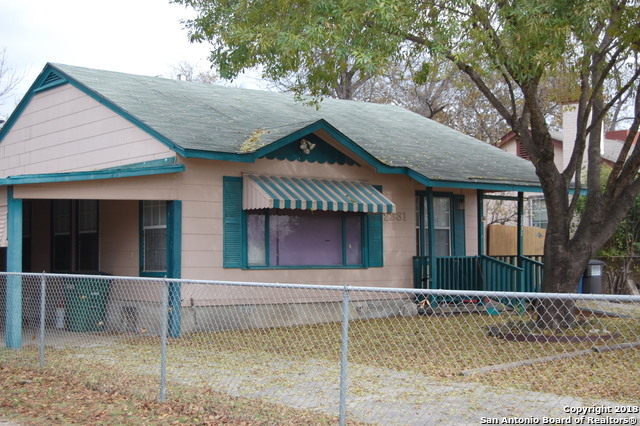 A DETACHED 1 BEDROOM 1 BATH CONVERTED GARAGE CAN BE FOUND ON THE PROPERTY AS WELL AS A SPACIOUS STORAGE SHED." "Own a piece of San Antonio History!! !This beautiful home is located a desirable Historic Monticello Park .Home sits on a corner lot 2 blocks from newly renovated Woodlawn Lake and Park. Home is just minutes away from San Antonio Down Town. Plenty of beautiful original features that keep home distinguished from others." "This Historic District home has so much to offer! Original hardwood floors, beautiful accents and large backyard! Attic has been partially finished and with some finishing touches can be made into an additional living area. Backyard has a shop or possible efficiency apartment. 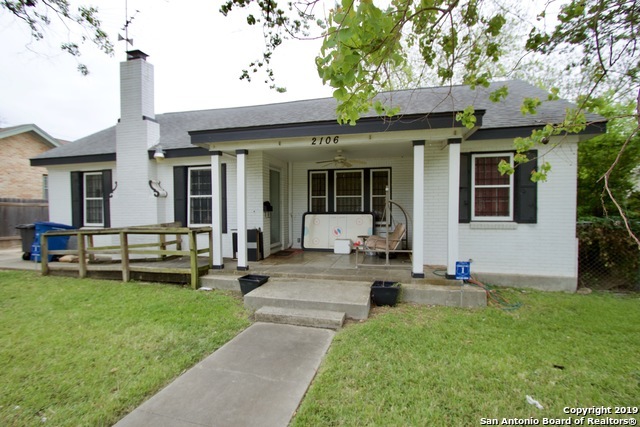 Come view this home and be a part of the Historic neighborhood!" "YOU CAN SEE THE FIREWORKS ON THE 4TH OF JULY FROM THE FRONT YARD. YOU CAN CROSS THE STREET AND BE AT WOODLAWN LAKE. ENJOY WALKS, RUNS, PLAY IN THE PARK, HAVE PICK NICS. PLAY TENNIS, BASKET BALL. ETC... CLOSE TO DOWN TOWN, WAL- MART DOWN THE STREET, HEB AND OTHER SHOPS NEAR BY. HOME HAS HARD WOOD FLOORS UNDER CARPET. HOME TO BE SOLD AS iS (has new electrical wiring done) (central heat and air conditioning) READY TO MOVE IN. SELLER SAYS; MAKE A REASONABLE OFFER WILL CONSIDER"
"Great 1 story starter home with real wood flooring. 3 bedroom/1 bath. Close to the historical district and Woodlawn Lake. Come look at this great opportunity. Investors welcome."